It’s a highly controversial topic: some swear by eating properly before exercise and instead avoiding food after exercising, while others prefer to train on an empty stomach and don’t eat until after they’ve completed their training. But is one approach better than the other, are there any consequences of eating too little before or after exercise, and what exactly is the best thing to eat to help you reach the sporting goals you’ve set yourself? pjuractive has been looking into the issue in a little more detail. 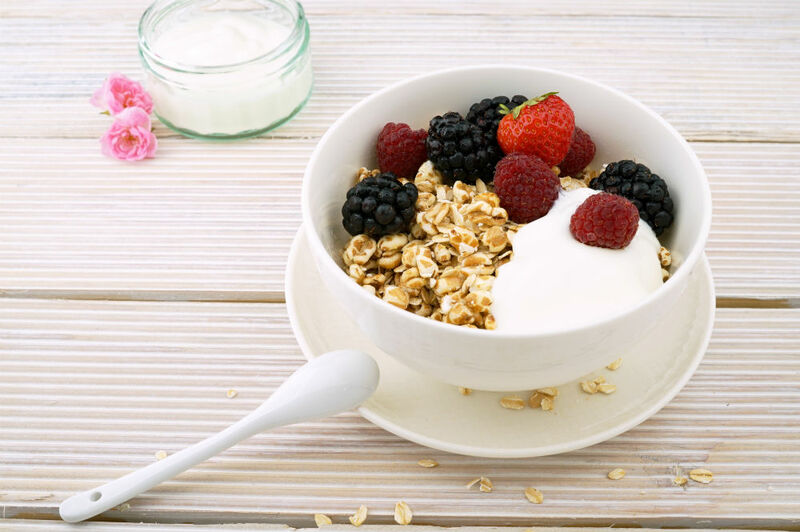 Although there are some athletes who train or go for a run in the morning on an empty stomach, most athletes do eat something before exercising. And that’s a good thing, too, as it’s the only way to make sure your body has the energy it needs to really perform well. If you don’t eat enough before doing sport, you’ll generally feel too worn out to be able to produce the performance you’re capable of. Yet unfortunately, too much food before exercise isn’t a very good idea, either. It tends to result in nausea or unpleasant burping. So it’s best to make sure you eat something that’s easily digestible before you exercise. What foods are good before exercise? It all depends on what goals you want to achieve. For cardio training, it’s important to eat carbohydrates such as pasta, bread, quinoa, rice or oats to top up your carbohydrate stores and therefore your glycogen stores, too. These stores will be emptied again during endurance training, and they are what supply you with the energy you need. However, if you’re planning to do weight training, your meal should contain not just carbohydrates but protein too. It’s best to go for a ratio of 3:1 here. 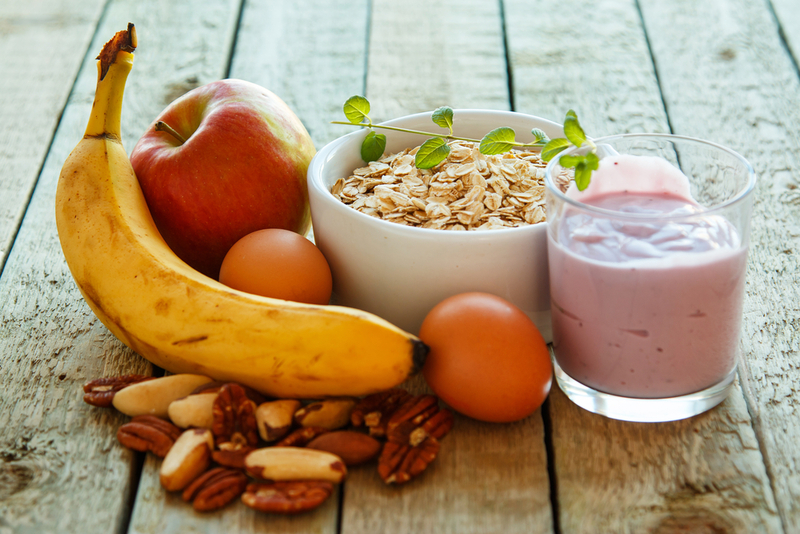 Eggs, yogurt, and fish are good sources of protein, as well as many other protein-rich foods. 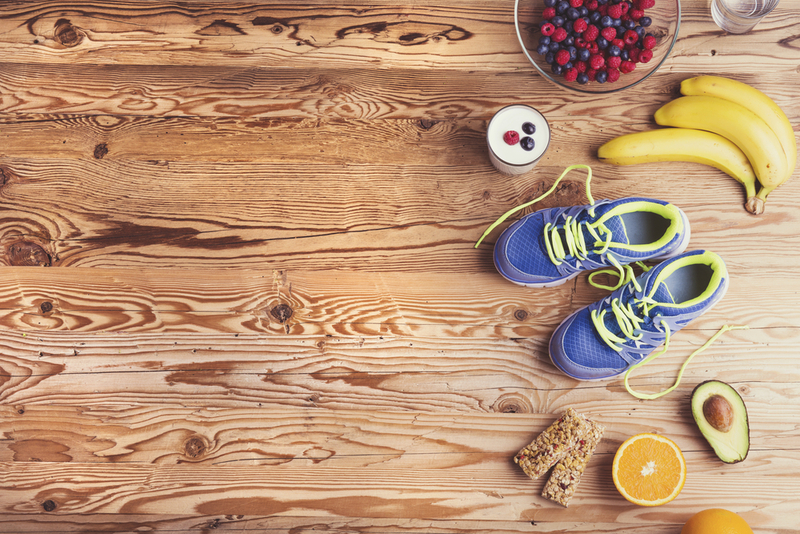 When should you eat before exercising? It doesn’t matter if you’re going weight training or endurance training—whichever you do, you should make sure you eat a proper, full meal two to three hours before your workout. If you eat too late, your stomach will be too full and you may end up feeling unwell during your training session. You can also have a light snack up to ten minutes before your workout. If you’re weight training, your best bet is a small protein-rich snack, and for cardio training a snack that’s high in carbohydrates is the best idea—it fits in perfectly with your training and will give you an extra energy boost just before you start. Many people find eating after exercise particularly difficult. Most people probably think they shouldn’t be eating straight away and replacing the calories they’ve just burnt off. But it’s important to eat after training too, as otherwise your body won’t be able to recover sufficiently. As a result, you may find yourself unable to reach the goals you’ve set. If you do a taxing weight training session, your muscle protein will break down or be damaged. To help your body build muscle, it needs protein after weight training. If you don’t get the protein you need from food, your body will take longer to regenerate—which is not exactly conducive to muscle growth. And it’s just as important to eat after training if you go for a run or do another form of endurance sport. When you do cardio training, your body burns glycogen from your blood and your muscles. You then need to replenish your glycogen stores afterward to help your body regenerate. What foods are good after exercise? The best food to eat after exercising is very much dependent on what training you’ve just done. If it was weight training, your body needs protein to replenish the damaged muscle protein and build muscles. It is recommended that you eat between 15 and 20 grams of protein. You can do this by incorporating chicken, eggs, fish, and even yogurt and milk into your nutrition plan after exercise, for example. On the other hand, it’s important to replenish your carbohydrate stores after endurance training. To do this, your meal plan should include a mixture of carbohydrates and proteins in a ratio of 3:1. Good carbohydrates that are recommended in this case would be sweet potato, quinoa, or even chickpeas. We’ve already looked at possible sources of protein for weight training earlier in this article. It’s also important to make sure you have a good electrolyte balance again after exercising. This is because you lose a considerable amount of salt when you sweat. When should you eat after exercising? What time you eat after your workout is crucial, too. The best way to help your body regenerate is to give your body the right foods 30 minutes after your workout—whether you’ve been doing weight training or endurance training. When it comes to eating after a workout, it’s also important to know that there is what’s known as an afterburn effect after exercise. So you don’t just burn extra calories during your workout but for a certain amount of time afterward, too. To be precise, the afterburn effect continues until the body has regenerated once more. We have a more active metabolism during this period. Greatist has produced an infographic that illustrates it really nicely. next post:Must-haves—What Do Women Actually Keep in Their Handbags?